MONTREAL, QC – Brewpub chain Les 3 Brasseurs/The 3 Brewers has announced details of its latest monthly feature beer. Sweet, tart and everything nice, the grapefruit adds complex notes to this refreshing beer, brewed just in time to celebrate the first hot days of the year. 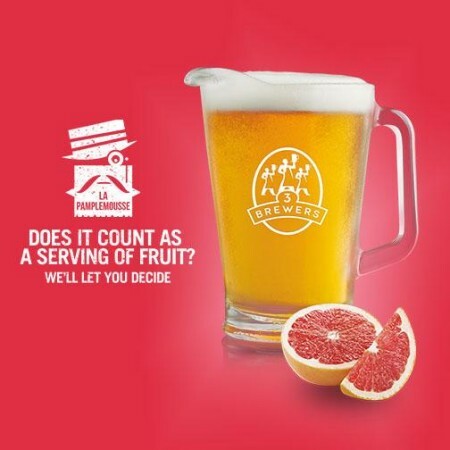 La Pamplemousse is on tap starting today (May 25th) at all Les 3 Brasseurs/The 3 Brewers locations in Quebec and Ontario.